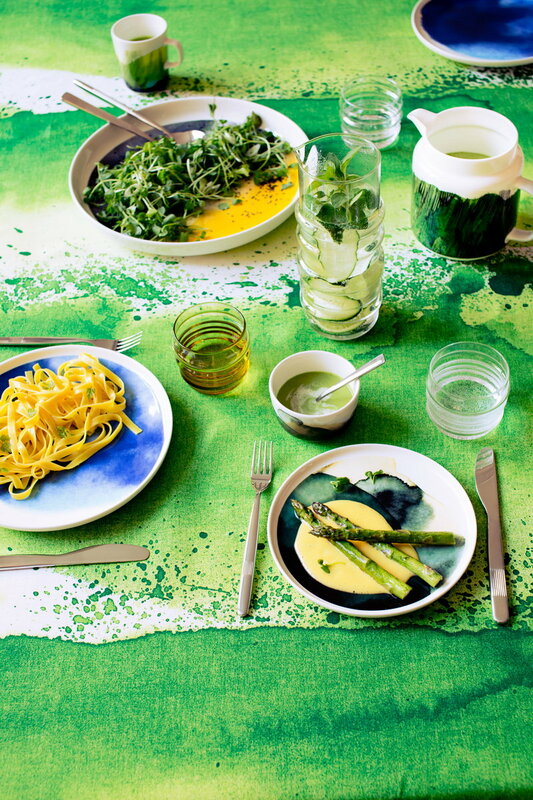 Marimekko Sääpäiväkirja (Finnish for Weather Diary) collection includes tableware, fabrics and kitchen accessories. Sääpäiväkirja features a series of patterns with the same theme: autumnal weather and colours. 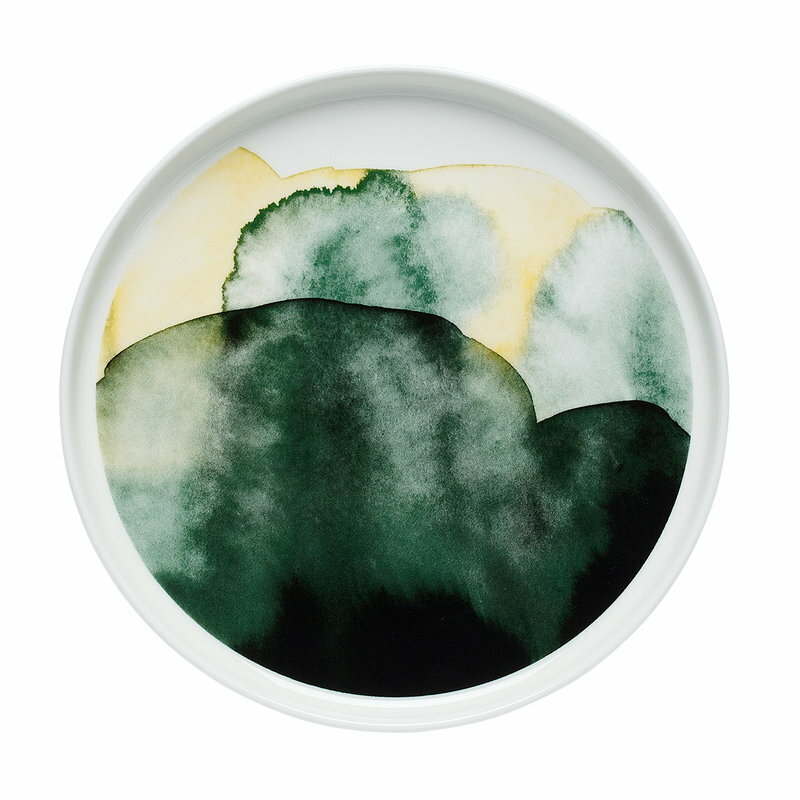 The palette of patterns, painted by Aino-Maija Metsola, embodies the whole range of seasonal weather patterns. 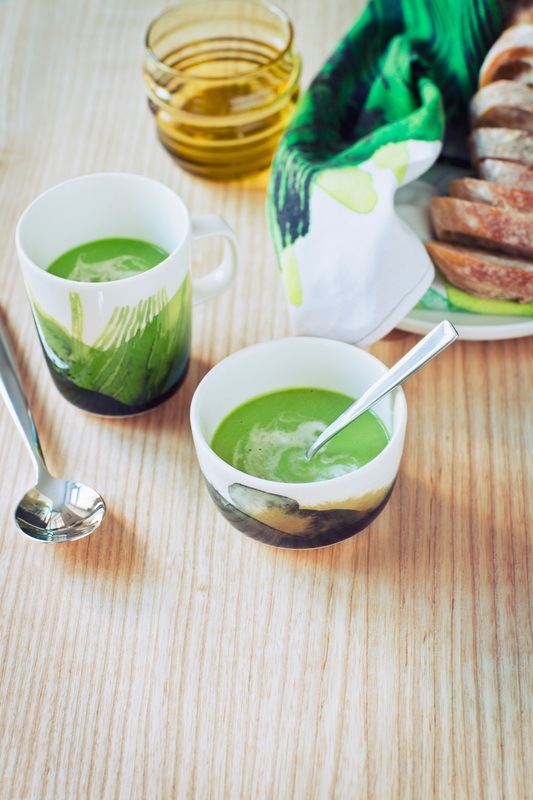 The patterns on the Oiva tableware, designed by Sami Ruotsalainen, depict tree trunks bent by the sea storms, dry grass and yellow autumnal meadows, and wet cliffs and foggy mornings in the archipelago.